The drama surrounding Bill Cosby and dozens of allegations of sexual assault finally came to a head when the comedian was charged Wednesday with drugging and sexually assaulting a woman at his home 12 years ago. The criminal charges are the first brought against the comedian out of the many allegations that surfaced over the past year. 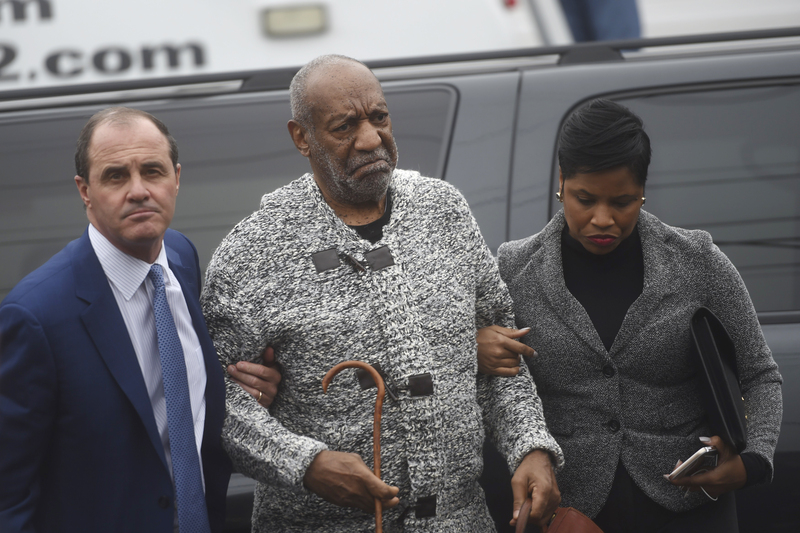 Cosby was charged with aggravated indecent assault, punishable by five to 10 years behind bars and a $25,000 fine. He appeared at a Pennsylvania courtroom for less than 10 minutes to post $100,000 for his $1 million bond. Now, some celebrities are speaking out about today's hearing and Cosby's legacy. Judd Apatow, who has been outspoken about the allegations since they began, wrote on Twitter that he hopes Cosby's accusers will have a chance to speak in court. Some stars cracked jokes about the comedian, while others simply expressed their disappointment. Kind of hoping for an OJ style low-speed car chase as police try to arrest Cosby. Between Holtzclaw and Cosby, I'd rather look at this as justice for women/sexual assault victims. What did I tell y'all in the @tvonetv #NewsOneNow top 10 stories of 2015 show? Cosby was a story in 2014, 2015 and will continue in 2016.